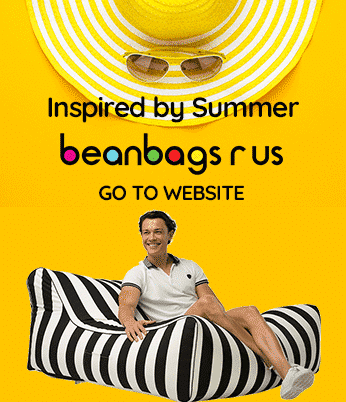 Bean Bags R Us NewsDog BedsHow To Pamper Your Pooch With Dog Bean Bags! Every dog deserves a great place to sleep, which is why we offer a unique line of bean bags just for your pet! Our pet beds are perfect for any size dog, whether they’re a tiny poodle or a giant Labrador! The beds are comfortable to care for, so you won’t have to spend a lot of time looking after them either! They can be easily washed and will dry out quickly thanks to the pellet or bean filling inside of them! Why Are Pet Beds So Important? There are many reasons that your pets should have their bedding. The most important reason is that it gives them a place that is just theirs and lets them relax after a day of playing and running around. Another big reason to have dedicated pet bedding is that it helps keep them off of the other furniture, which can be essential for anyone who doesn’t want pet hair or dander on everything. Because dog bean bags are affordable, you may find that having several in and around the home makes it easy for your dog to get comfortable in any room, without having to get on the furniture! Where Should You Put The Bed? One of the biggest questions many pet owners have is where to put their new dog bean bag. This answer tends to vary, but the best place is where it will be used the most by your pet. You may find that a quiet area of the home, such as a back porch, study area, or even a sunroom is the best place since it allows the animal a place to retreat to if they need a break. When setting the bed up in a quieter area, make sure you allow them a little extra space so that the bedding is not crowded with other furniture or in an area where someone might trip over it if they come in. If your pets prefer to be part of the action all of the time, then it may be better if you set the bean bag up in a living room or family room so that they can stay near family members. Since our pet bean bags are large, they do need quite a bit of floor space, which is why placing them in a corner, or off to the side will keep them out of the way. One thing that everyone will love about these beds is that they are lightweight and easy to move around, so you can always move the bed to another area anytime you need to! All bedding should be cleaned from time to time to remove any mud, fur, or other debris from the fabric. The best way to do this is to use a lint roller to lift any severe build-up, then rinse the fabric with water. After rinsing the bedding, it should be allowed to dry out so that it does not cause mildew or drip onto the floors. You can often leave the bed outside to dry or hang it over a railing, so it drains faster. One last way to keep your dog bean bags clean is to put a blanket on the fabric. Doing this can also make the bedding even more comfortable for your favourite pooch!